Picture by geralt from Pixabay. I didn’t get hooked on nicotine until the summer after high-school when I worked as a painter with a crew of smokers. It took a while for me to cave. Not from any pressuring by them; they never once offered me a cigarette until the day that I asked for one. Despite being aware of the dangers with smoking and addiction, my own curiosity got the best of me after spending my lunch-breaks with them for weeks. I cannot absolve myself because there was nothing that literally forced me to try a cigarette, or to start joining them on their smoke-breaks instead of continuing to paint without my co-workers as I once had. 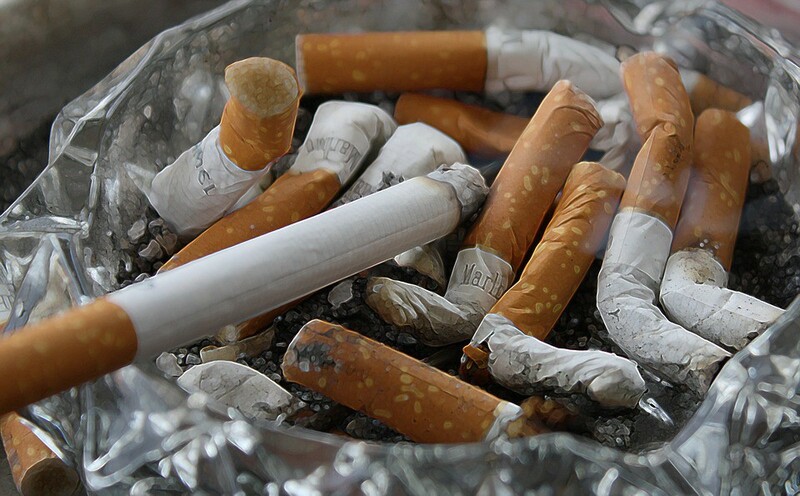 But having since asked many people how they started smoking, I began seeing a pattern in the environments that they were in. Specifically, they were regularly around other people who smoked. I felt like I had been sleepwalking my whole life, unaware of my surroundings. Willpower Doesn’t Work by Benjamin Hardy woke me up. That’s what I was unconsciously doing up to the day that I finally asked for a cigarette. White knuckling. Resisting the temptation of curiosity with sheer willpower. At risk of being pedantic, it isn’t so much that willpower doesn’t work at all. Willpower is still a necessary mental muscle. It just isn’t a long-term solution, and it’s less effective when it isn’t part of a larger strategy. And that larger strategy is best summarized as creating and controlling our environment. A proactive approach, as opposed to reactive. I still have an occasional cigarette with a friend if they offer, but I no longer buy my own or ask to bum one. Now I’ve moved onto something worse: vaping. I don’t mean worse in terms of health. I don’t know enough to make that judgment. Rather, it’s worse in terms of convenience. Where I live, you can’t smoke indoors most places. I wouldn’t smoke in my car (never mind while driving). Smoking’s time consuming. I dreaded fighting or escaping the wind, braving the cold, or having to find an awning to shelter me from the rain. Forgetting a lighter was a real buzz-kill. Then there’s the smell and taste. Generally speaking, that’s all been solved with a USB-looking contraption, but that isn’t necessarily a good thing. My solution to this was two-fold. A change of environment that would also act as a limit, and a tool that Benjamin Hardy mentions called “if, then”. I’d already been using the “if, then” tool without being able to articulate it. In high-school I was known as the kid who always had gum (this was not my only title, mind you). I was anxious and restless all the time, and I developed the habit of chewing my lips. If I started chewing my lips, then I’d chew some gum to stop myself. It’s important to acknowledge that this doesn’t address the cause, but it does address the symptoms, and that’s something. I hang out at a friend’s house almost every Friday and Saturday. I had to limit it to those two days or else I spend too much time over there, and not enough time on important things that need to get done. Leaving my vape there means I can only ever have it on those two days. So instead of constantly struggling throughout every day and fighting a losing battle against the vape in my pocket, I don’t even think about it except for a day or two each week. It takes way less out of me when I only need to exercise my willpower to resist the fleeting urge to take my vape home with me. The same can be said for junk food. You’ll use way less willpower if you resist the impulse to buy it at the store, as opposed to every single time you walk by or open your cupboard at home. Arguably, thanks to Benjamin Hardy’s book I’ve reduced the ill effects on my health, saved money, and I feel better knowing that I don’t have to be at the mercy of a bad master.